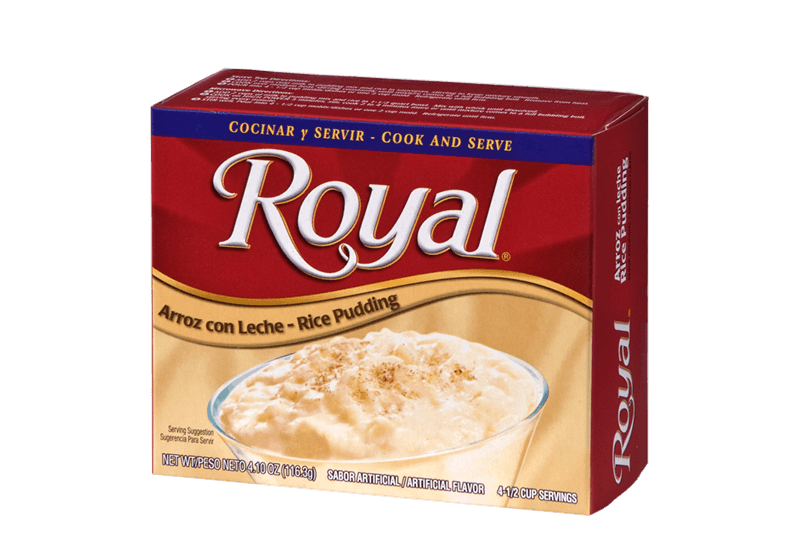 Royal Rice Pudding is as luxurious as it is satisfying. 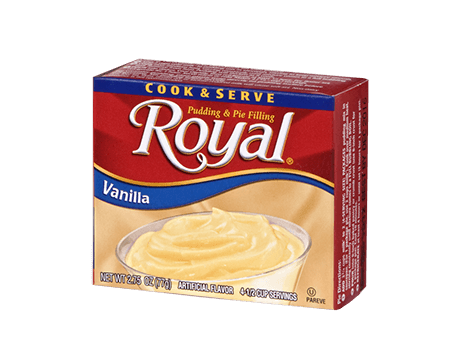 Combining creamy pudding and enriched grains of rice, this is the kind of treat you’ll crave day and night. SUGAR, ENRICHED INSTANT WHITE RICE (PRECOOKED LONG GRAIN WHITE RICE, NIACIN, IRON, THIAMIN MONONITRATE, FOLIC ACID), CORN STARCH, FOOD STARCH MODIFIED, CONTAINS 2% OR LESS OF THE FOLLOWING: SALT, ARTIFICIAL FLAVOR, CARRAGEENAN, MEDIUM CHAIN TRIGLYCERIDES.